Aidan Howard believes Winter Escape fully deserves his crack at Grade One company at next month's Dublin Racing Festival at Leopardstown. The eight year-old is three from four over fences for Howard since making the switch from Alan King's stable. 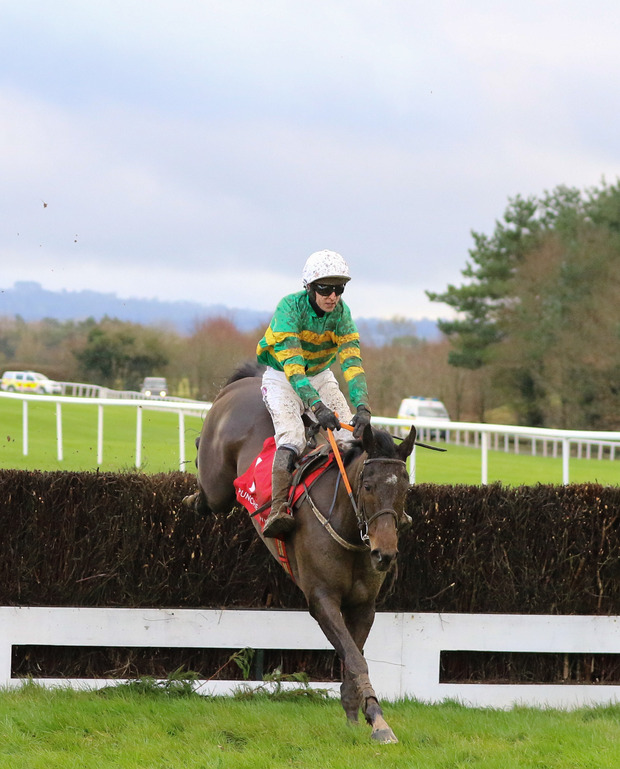 He is the first horse Howard has trained for JP McManus and heads to Foxrock on a four-timer after winning his last two starts in Grade Three company at Cork and Punchestown. He holds entries in the Grade One Frank Ward Solicitors Arkle Novice Chase over two miles and a furlong and in the Grade One Flogas Novice Chase over two-miles-five. Howard, who also pre-trains for McManus, said: "He's very good, and I'm very happy with him since Punchestown. He travelled very well in Punchestown and picked up well. "What he goes for in Leopardstown depends on the ground - he definitely wants an ease, and might not even go if it is dry. "If he gets an ease he is more likely to go for the two-miles-five Grade One. He has a long way to go to get to the top. But he deserves his chance in this company, and we hope he is a Grade One horse." Both Winter Escape's Grade Three victories came over two and a half miles. Nicky Richards reports Simply Ned in fine shape for the Ladbrokes Dublin Chase at the Festival on February 2 in Leopardstown. The 12-year-old has become a standing dish there, and was second in this same race last winter. He arguably gave a career-best display to complete back-to-back victories in the Grade One Paddy's Rewards Club Chase over Christmas at the Foxrock track, defeating old adversary Footpad by half-a-length in a time three and a half seconds faster than standard. "He's in grand fettle. He's having his usual exercise, worked on Saturday - and everything is going to plan. We'll give it a go," said Richards. "It was a magnificent performance on his behalf, and it was a blistering time - real good time they did that day. "There was no hiding place. He won it great, and he was the best horse in the race." Simply Ned will not be accompanied by stablemate Reivers Lad, after the Greystoke trainer ruled him out of the Frank Ward Solicitors Arkle Novice Chase on the same card. Richards made the decision after Reivers Lad, who made a winning debut over fences at Newcastle last month, missed an intended engagement at Ayr on Sunday. "I needed to get Sunday into him if he was going to head for Ireland. He won't be going there," said Richards.